With its roots in ancient Greece, Roman law and Christianity, European legal history is the history of a common civilisation. 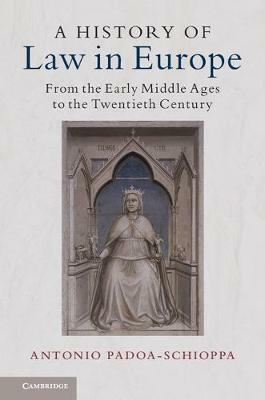 The exchange of legislative models, doctrines and customs within Europe included English common law and has been extensive from the early middle ages to the present time. In this seminal work which spans from the fifth to the twentieth century, Antonio Padoa-Schioppa explores how law was brought to life in the six main phases of European legal history. By analysing a selection of the institutions of private and public law which are most representative of each phase and of each country, he also sheds light on the common features throughout the history of European legal culture. Translated in English for the first time, this new edition has been revised to include the recent developments of the European Union and the legal-historical works of the last decade.